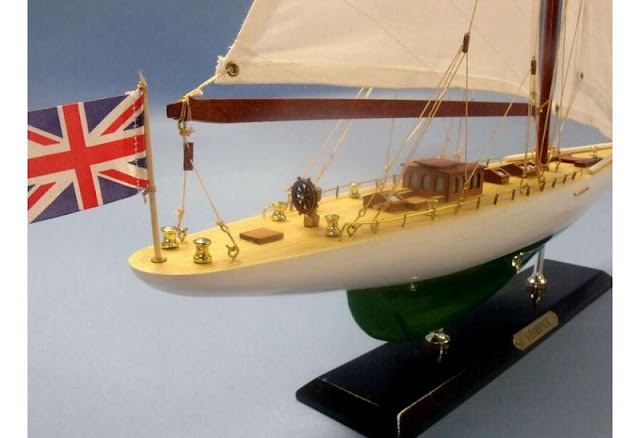 Posted by Unknown in America's Cup "Endeavour" Wooden Sailboat Model, America's Cup Yacht Intrepid Scaled Model 1967, Famous Boats, Historic Boat Model, Launch of Endeavour, Legendary Ships, Sailboat Model "Shamrock"
One description has been repeatedly used to describe the 12-meter racing yacht INTREPID: a breakthrough yacht. 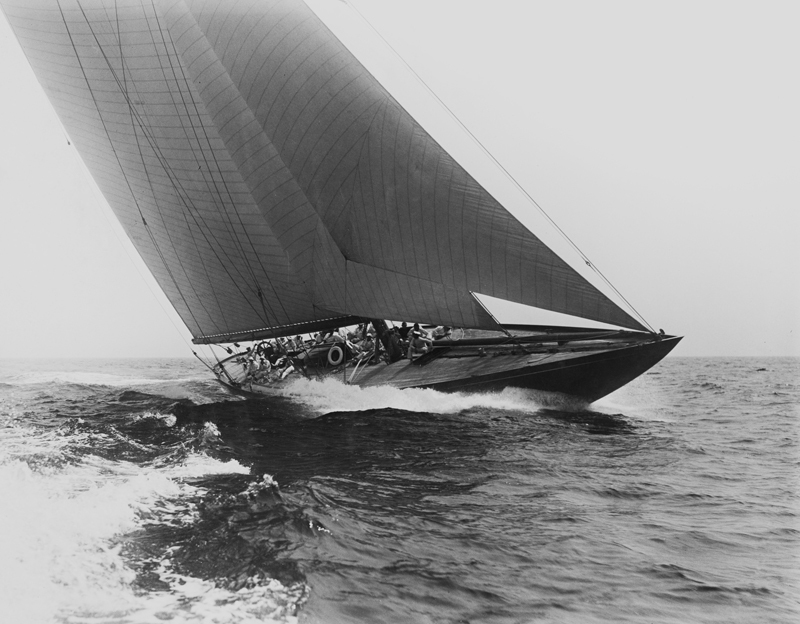 Built to the Third International Rule, US22 was constructed of wood and launched in 1967. 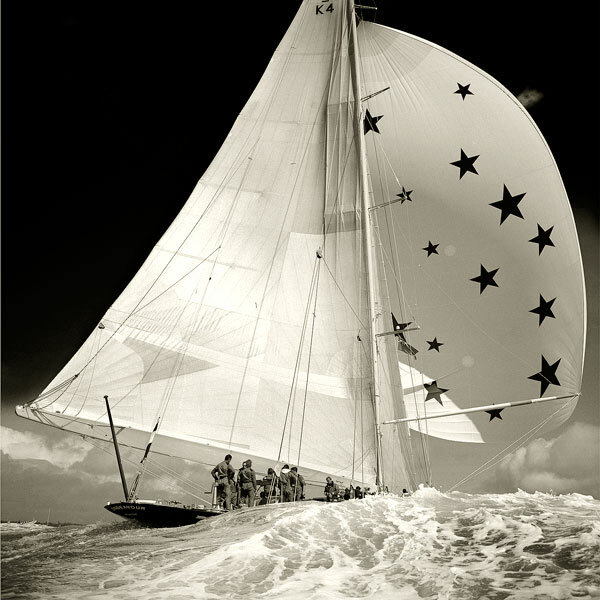 She successfully defended the America's Cup in both 1967 and 1970. 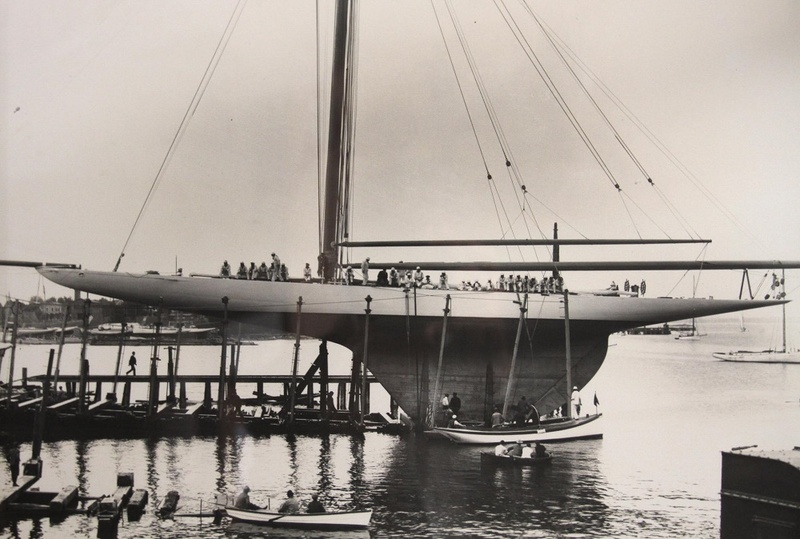 Her extensive tank test program at the Davidson Laboratory at the Stevens Institute in Hoboken, New Jersey, included 8 models, 35 modifications and 18-months of work. 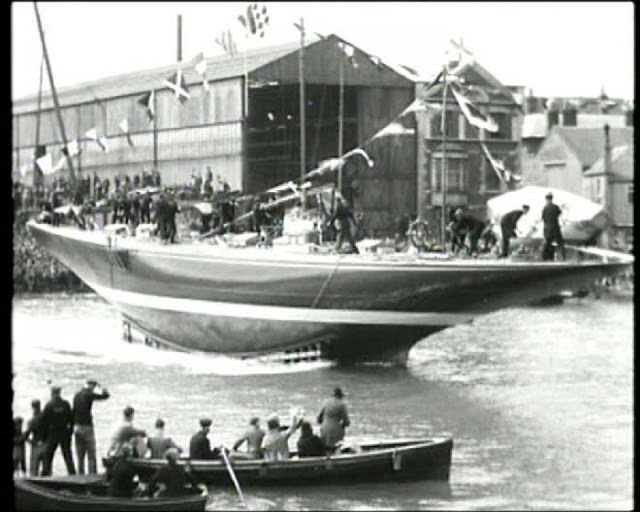 Intrepid was the first 12-meter to use a separate keel (with trim tab) and rudder successfully. 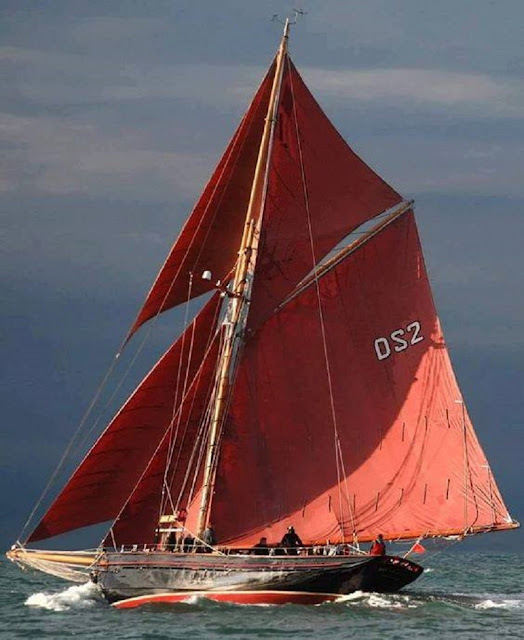 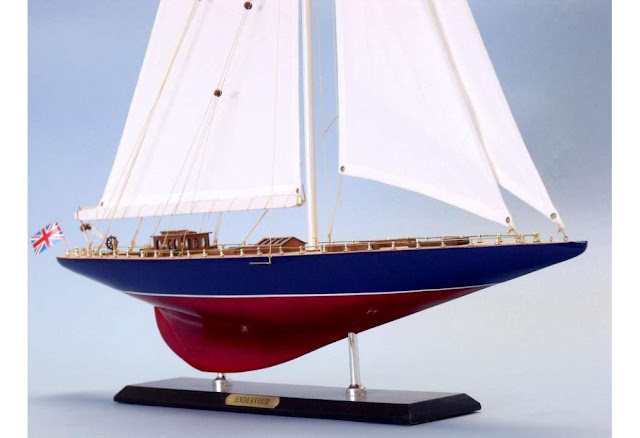 Her knuckle bow was an innovation as was the placement of much of her deck gear (and crew) below decks, lowering her center of gravity, but also allowing the boom to be lowered dramatically whcih would greatly reduce the induced drag created at the foot of the main sail. 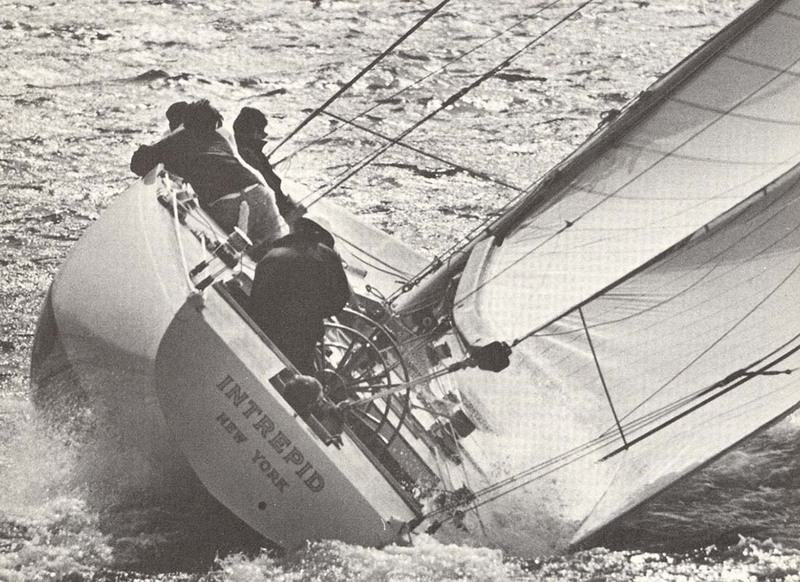 With such radical improvements, INTREPID completely dominated 12-meter racing, until the arrival of COURAGEOUS. 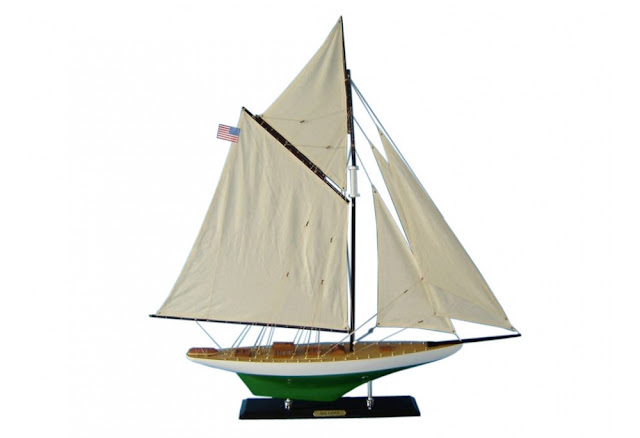 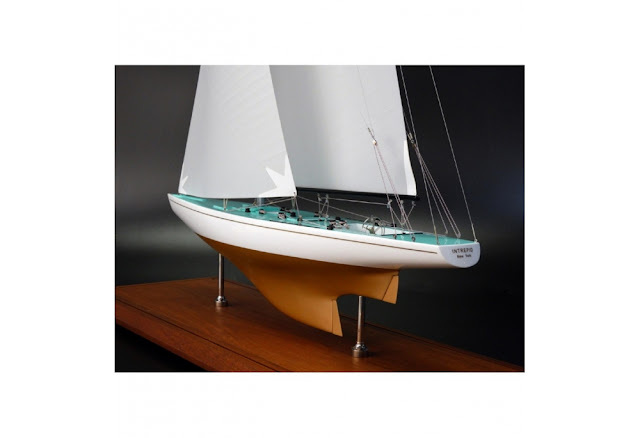 America's Cup Defender Sailboat Model "Shamrock"